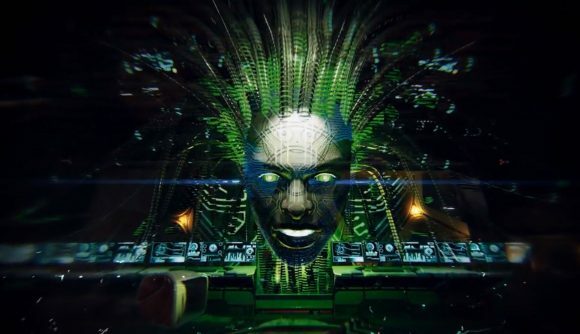 Nightdive Studios has released footage of its upcoming remake of the original System Shock, which shows the seminal 1994 sci-fi adventure resurrected after 25 years of progress in development technology. The video is set on the original game’s very first level, Medical, and lasts 21 minutes. We see the nameless hacker wander the hazy lights of the Citadel station, solving small puzzles, whacking enemies with a length of piping, and listening to audio logs from the victims of the ship’s malevolent AI, SHODAN. It looks like Nightdive has nailed that Bioshock-meets-Prey-meets-Dead Space feeling. It’s hard to deny that when the lights are dimmed and shadows are cast, the Citadel transforms into a paranoid chamber where SHODAN could turn against you at any point. What’s more, if you’re not worrying about the rampant space AI, Nightdive have included have a whole new host of enemies to keep your exploration interesting. Nightdive has stated in the video’s description that the Medical level shown is far from finalised, and that there are missing enemies, sounds, weapons and effects. If you’d like to see for yourself, check out full video below. The studio has also asked fans for their feedback on the music played throughout the levels, so now’s your chance to have some input if you’d love to help shame the way the final game feels. When it was listed on Kickstarter back in 2016, the System Shock remake quickly raised its $900,000 target, with over two weeks to spare. Fans of the Bioshock series in particular have been excited to play a modern rendition of Ken Levine’s precursory game, which shares many of the same ideas and brooding settings as his beloved series. System Shock is set to be released at some point next year, having previously been delayed several times. Though we’re not sure exactly when that will be, from the latest footage we can be reassured that it will at least be a spooky, sci-fi adventure that plays true to the original.